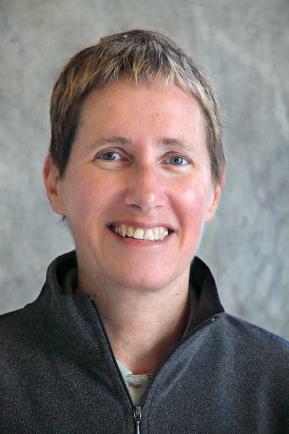 Archaeologist Jodi Magness will discuss ancient Israel in two free public events Feb. 11-12. Dr. Magness is Kenan Distinguished Professor for Teaching Excellence in Early Judaism at the University of North Carolina at Chapel Hill. The Feb. 11 event, at Birmingham’s Temple Beth-El, will feature details of Magness’s recent discoveries in the Ancient Synagogue at Huqoq, in Israel's Galilee. The site includes the remains of a synagogue which housed a diverse set of mosaics portraying the story of Samson, as well as other non-biblical scenes. A 6:30 p.m. reception will be followed by a presentation and slide show at 7 p.m. The Feb. 11 event is sponsored by Samford University’s Religion Department, Samford’s University Fellows honors program, the Joe and Morris Sirote Enrichment Fund of the Temple Beth-El Foundation and the Focus on Faith Committee of Independent Presbyterian Church. Samford will host Magness for a second event, focused on “Purity in Ancient Judaism,” Feb. 12 at 1 p.m. in Samford University’s Brock Forum, Dwight Beeson Hall. That event is co-sponsored by Howard College of Arts and Sciences and the office of the university provost. “Magness is an excellent speaker, and the synagogue at the site she is excavating may be one of the most important synagogue discoveries in Israel,” said Samford religion professor James Strange, who leads excavations at the nearby site of Shikhin.